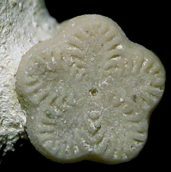 Chalk Isocrinids are easily recognised by the '5-petal' profile of the stem, and isolated columnals from the stem are very common at certain horizons; notably Isocrinus? 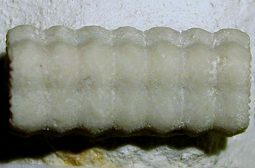 granosus in the Turonian. 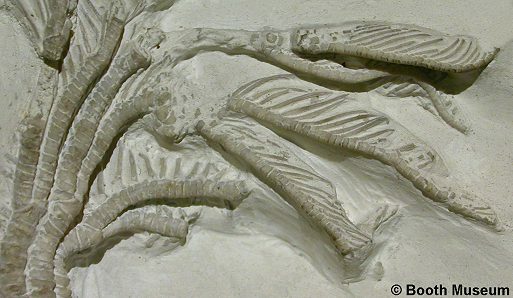 However, well preserved individuals are amongst the very rarest of chalk fossils. The stem and arms are elongate, but the calyx is very reduced. 1). Isocrinus? granosus; (A) The unique type specimen from the Turonian of Malling, near Lewes (x1.2, Willett Collection, Booth Museum, BMB 007942, by kind permission of John Cooper); (B-C) Typical stem section (x5.4, Turonian, Beachy-Head, Randell Collection, RR 1062); (B) side profile; (C) the articular surface displaying the characteristic 5-petal profile. 2). Isocrinus? 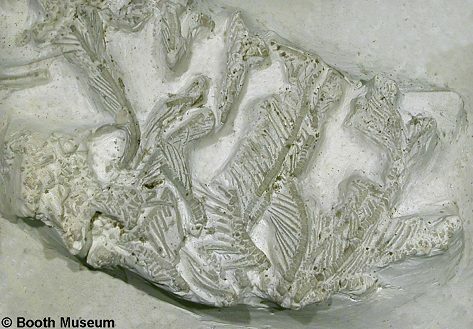 granosus; partial crown, Turonian?, 'Southerham', near Lewes (x1.2, Potter Collection, Booth Museum, BMB 017030, by kind permission of John Cooper). 3). 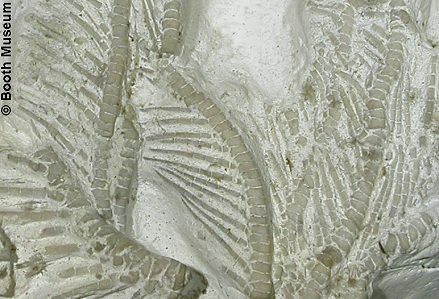 Isocrinus? granosus; (A) stem section (x1.2, Turonian?, Potter Collection, Booth Museum, BMB 011381, by kind permission of John Cooper); (B) stem section of the type with beautifully articulated cirri (x2.5, Willett Collection, Booth Museum, BMB 007942, by kind permission of John Cooper). 4). Isocrinus? 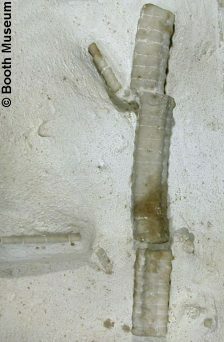 granosus; stem section with elongate cirri (x2, Turonian?, Willett Collection, Booth Museum, by kind permission of John Cooper). 5). Isocrinus? 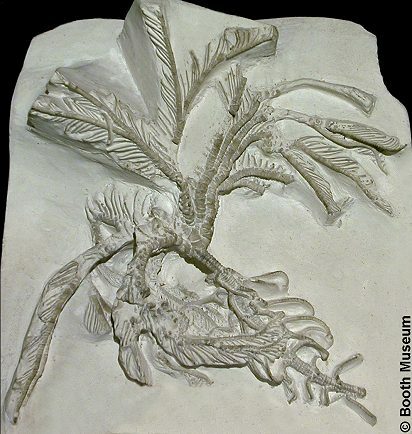 granosus; detail of the type specimen displaying well the highly reduced nature of the calyx relative to the arms and stem (x3.8, Willett Collection, Booth Museum, BMB 007942, by kind permission of John Cooper). 6). Isocrinus? 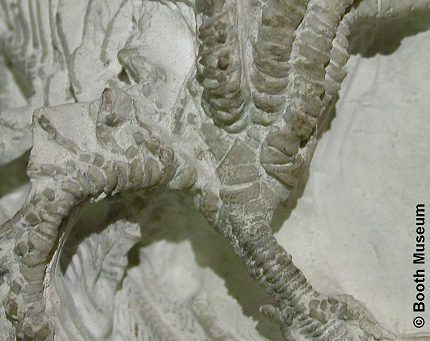 granosus; detail of articulated arms with well preserved pinnules (x3.6, Turonian?, 'Southerham', near Lewes, Potter Collection, Booth Museum, BMB 017030, by kind permission of John Cooper). 7). Isocrinus? 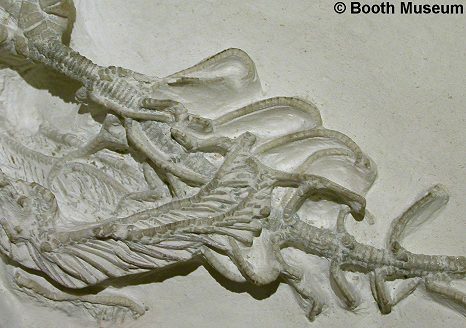 granosus; detail of articulated arms with well preserved pinnules (x3, Willett Collection, Booth Museum, BMB 007942, by kind permission of John Cooper).